Need Help Organizing your Bills to Get Out of Debt? Struggling to get out of debt is often overwhelming. Sometimes it feels easier to ignore the bills you have to pay. You can convince yourself you’ll deal with that “last notice” tomorrow before adding it to the unopened pile. The result: late fees, increased APR, hits on your credit score, and a snowball effect on your overall debt. The trick to get out of debt is to tackle it head-on. Break it down enough, and debt becomes a series of steps. Some steps are harder than others. Some are surprisingly easy. One of the more difficult steps is organizing those bills and coming up with a schedule, but trust us: it's the single step that makes every other step that follows much easier. 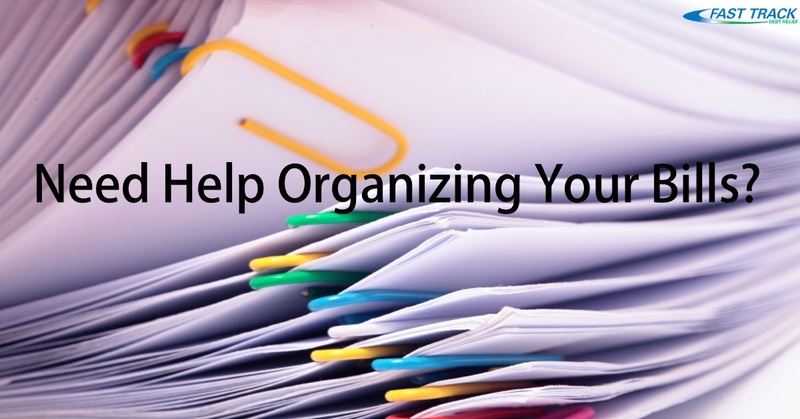 When organizing your bills, deal with clutter first. Create a clean workspace that will be dedicated to paying bills. Select the most recent copy of each bill, and organize the rest by company and then by date. File these in an easily accessible location. Now, you need a way to keep track of your bills. Try OpenOffice, a great spreadsheet tool you can download for free. Also consider keeping a paper ledger. Often, people are more careful with a handwritten ledger and it has the added benefit of making the process feel more real. Next, separate your monthly payments out. Write down what is pre-authorized or automatic payment. Measure this against your income and savings. Plot this out for the next several months. If you can make more automatic payments, do it. This way, even if you forget to pay the bill, it’s taken care of. And if you do get a late fee, call the company immediately. Sometimes, these can be forgiven if a payment is made quickly. For further help on debt relief, give us a call at Fast Track. We've helped many with get out of debt; you can be one of them.